HomeFestival International des Jeux – rounds 1 – 3. 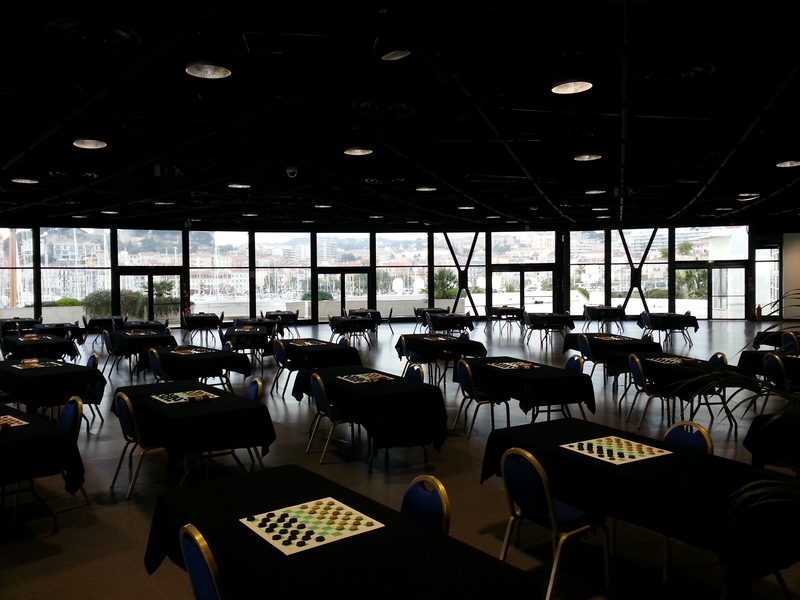 Festival International des Jeux – rounds 1 – 3. There are three tournaments. The A open is very strong, with the top seed being the former world championship candidate and multiple US champion Gata Kamsky. Former Scottish champion Alan Tate is also playing in the A tournament. I am playing in the B (under 2200) tournament. My tournament has not exactly gone well thus far. I managed to draw in round 1 as white against Guy Cornut (1668 France), when my opponent offered me a draw in a position I had thought (and Houdini agrees with me) was basically lost for me. In his defence we were both playing on the increment at that point, but even so I would have carried on his position. Here I had been happily contemplating something like 20.Ne4 Be3+ 21.Kh1 f6 when black’s king is fairly safe, and he will probably be able to convert his extra pawn. Instead my opponent found 20.f6! after which black is in serious trouble. 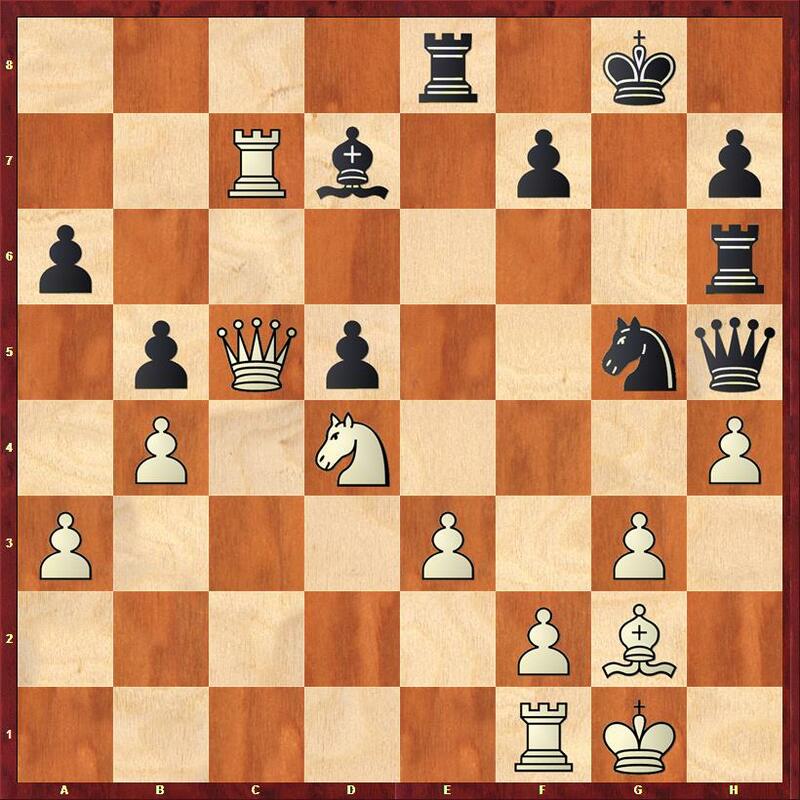 For example white has a winning attack after 20…Bf6 21. Rxf6! 21.gxf6 22.Qh5 Rfe8 23.Qxh7+ Kf8. I found the only way to continue 20…g6 21.Bc1 Be3+ (another way to lose is 21…Bxc1? 22.Bxc1 Kh8 23.Qh6 Rg8 24.Ne4 g5 25.Nxg5 Bf5 26.Bxf5 and checkmate next move) 22.Bxe3 dxe3 23.Qf3 Qb6 24.Kh1 Kh8 25.Rae1 Rde8 26.Rxe3 Nd4 27.Qe4 Bc6 28.Qh4 Nxc2 this was based on a tactical oversight, but Houdini thinks the position is already lost. In round 3 I was given the white pieces against Sergio Nanni (1745 Italy). I proceeded to misplay the opening, and reached the following position after 17 moves with black to play. 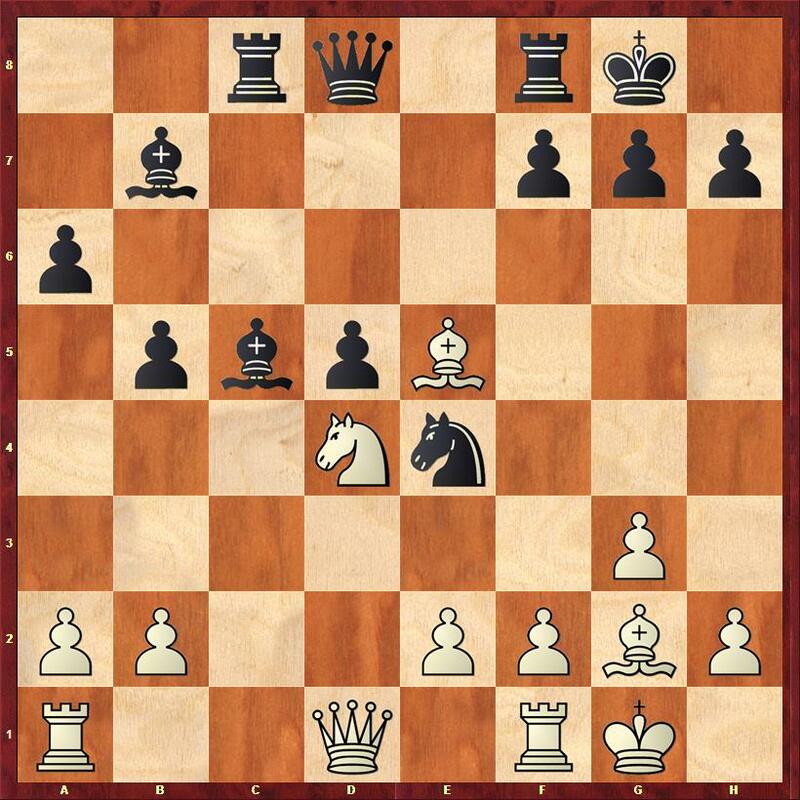 Here black should have played 29… Ne6 30. Nxe6 Bxe6. 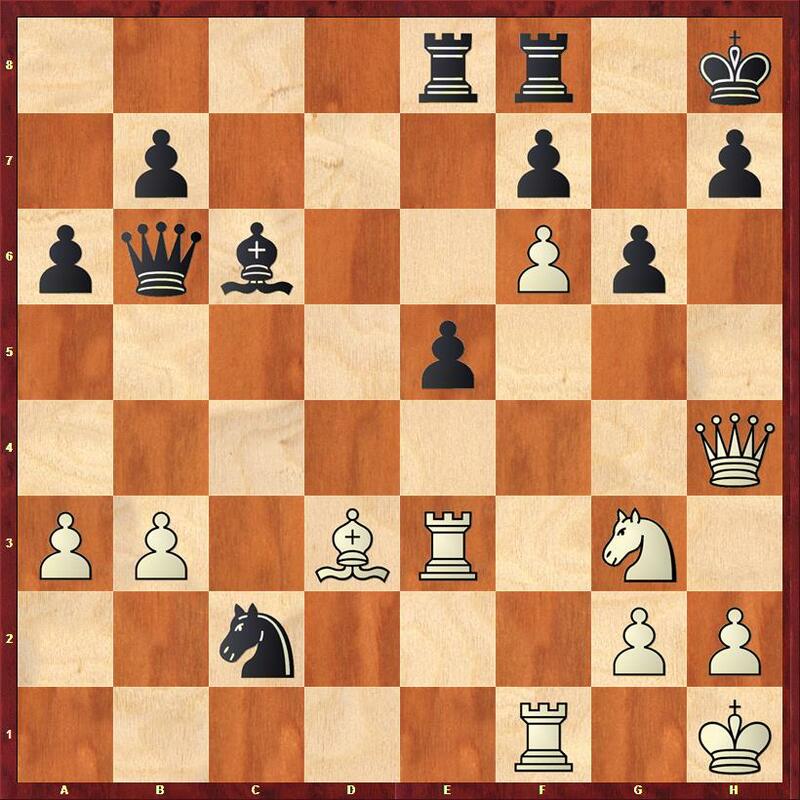 White can then make progress with 31.Qa7 attacking the Queenside pawns, but the game would continue for a while. 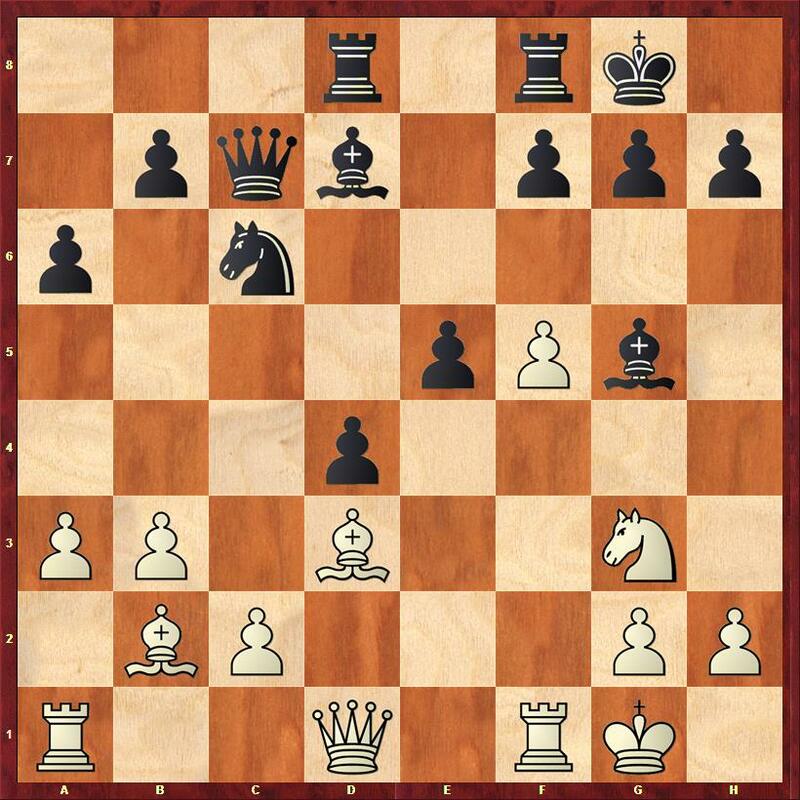 Instead he blundered with 29…Ne4 30.Bxe4 Bh3 31.Bg2 when white was a knight up. I think his idea had been 30…Rxe4 31.Rxd7 Rxh4, but it doesn’t work because white attacks first. 32. Rd8+ Kg7 33. Qf8+ Kg6 34. Rd6+ Kg5 35. Rxd5+ Kg6 and now 36. Rxh5 R4xh5 37. Qa8 is one of several ways to win. Finally like most experienced chess players I have spent a small fortune on chess books in the (mostly vain) hope that they will somehow improve my game. Today however I made the most optimistic chess purchase to date. 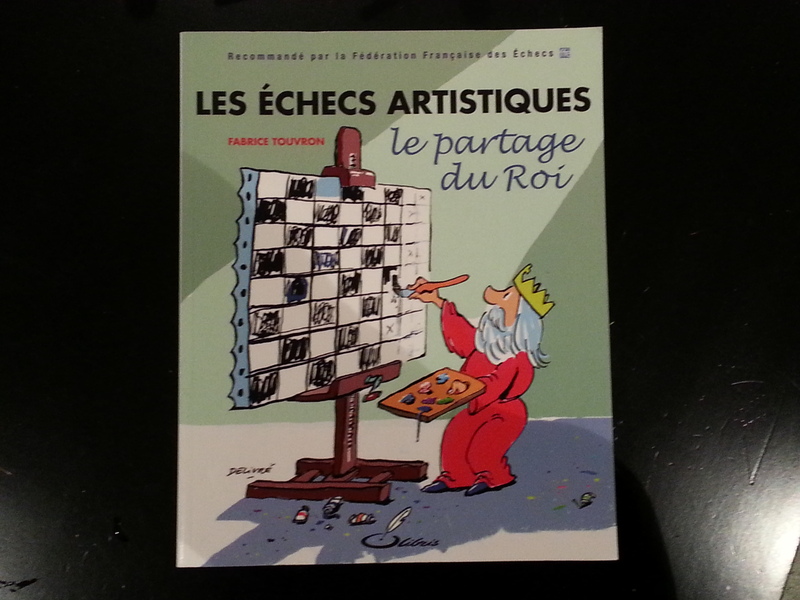 Not only am I hoping it will improve my chess, I am also hoping it will improve my French. Here’s to optimism!